This time the Taliban has gone too far. The movement of religious students turned-warriors that controls most of Afghanistan is systematically destroying the cultural patrimony of their country. And there is, unfortunately, little the rest of the world can do but watch in horror. This time the Taliban has gone too far. The movement of religious students turned-warriors that controls most of Afghanistan is systematically destroying the cultural patrimony of their country. And there is, unfortunately, little the rest of the world can do but watch in horror. Mullah Mohammed Omar, the shadowy leader of the Taliban, recently ordered the destruction of all the statues in the country, on the basis that representations of the human form are against Islam. That means Afghanistan’s extraordinary trove of thousands of Buddhist relics is now systematically being destroyed by Taliban zealots. The most famous of these are two massive Buddhas, dating from the 3rd and 5th centuries standing over 100 feet high, which were one of the country’s premier tourist attractions in the 1970s. Taliban soldiers had already disfigured the statues in past years. Troops using anti-aircraft weapons have now finished the job off once and for all. This is a work of cultural vandalism akin to the Khmer Rouge mining areas of Cambodia’s extraordinary complex of palaces and temples at Angkor Wat. Indeed the Taliban and the Khmer Rouge share something in common. Both extremist movements emerged out of years of civil war with an absolute certainty about how to create heaven here on earth. For the Khmer Rouge it was a return to a peasant utopia they called Year Zero. For the Taliban it is the return of the rule of sharia, Islamic law, their imagined view of life in Prophet Mohammed’s Arabia more than 1,300 years ago. es slowly, clothed in a huge illusion.” The wedding celebration was covered by an Arab television station in an apparently calculated effort to show that bin Laden and the Taliban do not pay any attention to the opinions of the world community. While the Taliban leadership is attending celebrations for the bin Laden family and worrying about how to destroy what remains of the country’s cultural heritage, ordinary Afghans are threatened by the worst famine in their history. The Taliban imagined that if they could make the population more “virtuous” by issuing decrees, such as banning women from jobs and girls from education, the myriad problems of the country would be solved. Unsurprisingly this did not happen. The Taliban have continued to pursue a misguided war in the far north of Afghanistan against the former rulers of the country, but have done nothing to repair the infrastructure of a country already devastated by two decades of war. The result of which ? coming on top of a series of droughts ? is that the United Nations now estimates that a million Afghans, approximately a tenth of the population, are at risk of starvation. What can be done? The only possible pressure point on the Taliban is through neighboring Pakistan. Pakistan, one of three countries in the world that recognizes the Taliban, was instrumental in the group’s rise to power and continues to wield influence with them. Pakistan can pressure the Taliban in several ways, not least of which is to close its border to fuel trucks ? without which the Taliban tanks cannot move. Also Western diplomats in Pakistan estimate that 20 to 40 percent of Taliban troops are from Pakistani religious schools. Any future assistance to Pakistan from the international community, such as the World Bank of the International Monetary Fund, should come with enforceable guarantees that Pakistani support for the Taliban zealots ends now. 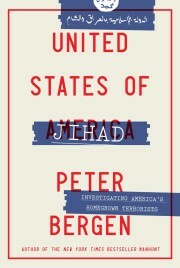 Peter Bergen was a correspondent/producer at CNN. He is writing a book about Osama bin Laden.